Home › Gpct Toilet Night Light (Motion Activated Universal Design Fits Any Toilet Gl.. 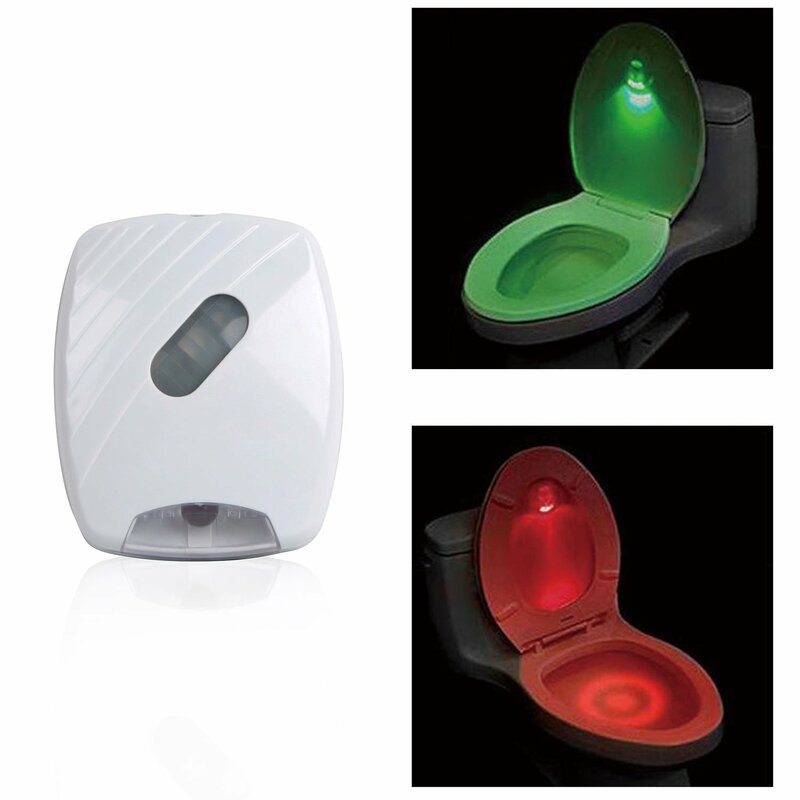 NEON TOILET NIGHT LIGHT - Light that attaches to your toilet seat to provide you with sufficient neon lighting to guide you in the dark and also allow you the convenience of not turning on bright lights that may prevent you from falling back asleep. BRIGHTNESS SENSOR - Includes built-in brightness sense light. Senses your arrival from up to 13 feet away. NEON COLORS - Glows red when the motion night light detects you within 13 ft and then glows green when you open the lid. SIMPLE SET UP - Attaches securely to any toilet lid with double-sided sticky tapes enabling you to get a good quality sleep. INDUSTRY LEADING CUSTOMER SUPPORT - You can continue to rely on Electro-Deal to offer the markets most competitive prices, paired with industry leading customer support, all backed by a one year, full, manufacturer's warranty on new products or a 90 day, limited warranty for refurbished products! Solar Powered Motion Sensor Light 12 Leds Wall Light For Yard Garden Deck Dri..